Your entire look is important when it comes to getting ready for prom. There are so many things to think about including your hair, the dress, and your makeup. You can even start a month or two before the prom and schedule regular facials to make sure your skin is in tip-top shape on that special night! The team at Oliver West Day Spa is super excited for Prom! Our spray tans are done with Vita Liberata, the same fine product that the Victoria secrets models use. Our makeup designers and spa nail artisans are prepared to style young clients beautifully with professional, photo-ready makeup for their personal red carpet moments. We’ve created Spa Prom Packages for that special night, putting together the services that make sense. What a lovely gift for a daughter, granddaughter, niece or neighbor! If you’re going to prom and want our stylist’s assistance, don’t be shy. Call us and let’s chat about what you want to do. 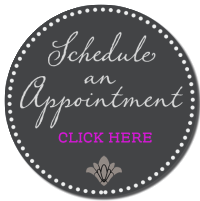 Let’s make your appointment now. Follow these tips for prom beauty. • The dress comes first, then hair style, and makeup design. • Take a phone cam pic of you in your dress. Make sure it’s a head to toe shot. That way your stylist can see its color, bling and proportions without you having to describe it. • Dress for your appointment in a blouse or top that buttons all the way up the front. You don’t want to have to pull anything over your head when you’re done. • Make your spa appointment as early as you can. Proms are typically on a Saturday evening, and Saturday appointments can be difficult to book without lots of notice. • Work backwards from the places you have to be. For example, the Prom is at 8:00pm, dinner is at 6:30pm, the limo pick up is 5:45pm, you have to be at your BFF’s place by 3:30pm…. Get it? That means your spa appointment needs to be over and done by 2pm. Experience the aura of Soho in our quaint Long Island Day Spa. We provide a truly personalized spa experience, and believe in building relationships with our clients that will last a lifetime. Oliver West Day Spa provides the highest quality services and products in a relaxed and peaceful environment. We constantly exceed expectations, and never compromise the quality or integrity of our services.